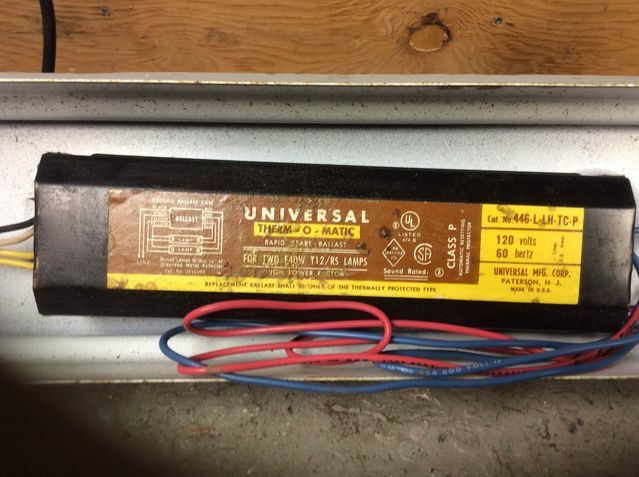 Lighting-Gallery-net - Ballasts/Parent’s basement ballast. This ballast is from a second light in my parent’s basement. This one is dated J 73 which is a little bit of a mystery as I was told this and the other light were put up at the same time as the house was bought in 1976. This light still has one original Westinghouse bulb. Hmm I wonder why this is brown and not green? Did the color change at some point?The others are mid to later seventies. I believe this is the "Low Heat" model as indicated by the LH in the model number. That's why the label is brown.